If you are a professional journalist or member of the media wanting to request a review copy of a new or forthcoming book, or interested in connecting with one of our authors for a story or interview, please make your request to: [email protected]. 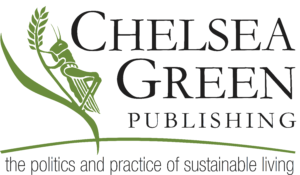 Chelsea Green Publishing proudly represents over 400 authors who are experts in every facet of sustainable living and trailblazers in social and environmental stewardship. For specific questions on speaker availability, fees, and scheduling, please contact our Author Events Manager, Jenna Stewart: [email protected].